What Tensor Flow is all about and How it Works? HomeLatest TrendsMachine LearningWhat TensorFlow is all about and How it Works? Machine learning is popularly considered as a complex discipline; however thanks to machine learning frameworks like Google’s TensorFlow, its implementation is a lot less difficult. It makes acquisition of data, training models, analysing predictions, etc. easier for the company. TensorFlow is an open source library, developed by Google bream team for numerical computation and large-scale machine learning. It amalgamates a slew of machine learning, deep learning, and algorithms together to make them more valuable. The framework utilized Python to offer a seamless front-end API for developing application while using high-performance C++. TensorFlow is capable of training and running extensive neural networks for handwritten word embeddings, image recognition, sequence-to-sequence model, digital classification, etc. for natural language processing, machine translation and partial differential equation (PDE) powered simulations. This open source library allows developers to build data flow graphs, which are the structures that describe how data flows through a series of processing nodes or a graph. Each node signifies mathematical operation and an edge between the node represents multidimensional data array or tensor. Tensor delivers all these productive services to the programmer through the Python language. It is easy to learn the language and offers various simple ways to couple together high-level abstraction. While TensorFlow itself is in Python application, the nodes and tensors are Python Objects. The transformational libraries available in the framework are written in high-performance C++ binaries. Python simply directs the traffic between nodes and offer top-notch programming abstraction to join them together. One of the prominent benefits of TensorFlow for machine learning development is an abstraction. Rather than dealing with every minute details of incorporating algorithms or identifying a proper approach to hitch the result of one function, the developers can focus more on overall logic of the application. TensorFlow handles the nitty-gritty details efficiently behind the scenes. TensorFlow provided further convenience to the developers through its eager execution mode. This mode allows them to evaluate and modify each graph operation individually, instead of developing the whole graph as a single ambiguous object and evaluating it all at once. Additionally, the TensorBoard visualization suite allows developers to inspect and profile the way graph operates via an interactive dashboard. Along with fuelling up the development process, Google has also offered many productive offerings to make it more efficient to deploy and use like TPU for amplified performance, mobile friendly and in-browser incarnations, an online hub for sharing developed models, etc. On the whole machine learning has emerged as an essential element when it comes to optimizing the effectiveness and efficiency of various technologies. 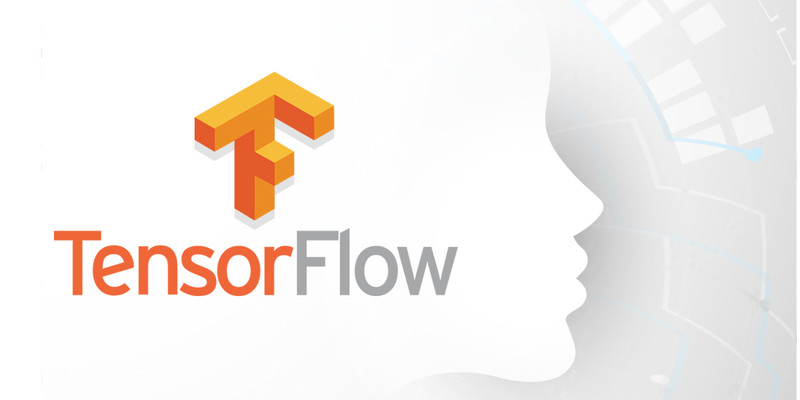 Developed by Google’s brain team, TensorFlow is a remarkable open source library that allows developers to easily deploy the application and further use it through the organized data flow.